Mayor Joe Hogsett the Mayor of Indianapolis, is offering a Summer 2016 Internship Program. This is an opportunity for undergraduates who would have completed their sophomore year by May 9th and graduate-level students to participate in this fourteen (14) week program starting on May 9, 2016 through August 12th. . Senator Joe Donnelly is currently accepting internship applications for the 2016 spring semester in both Washington D.C. and Indianapolis. The deadline to apply for the spring semester in the Washington D.C. office is March 4th 2016, and applications for the Indianapolis and South Bend offices are received on a rolling basis. 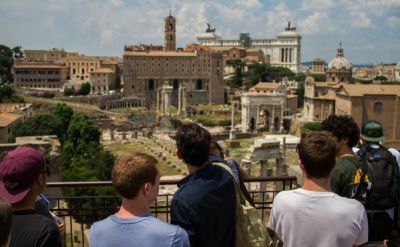 The American Institute for Roman Culture is accepting applications for its annual summer excavation field school in Rome.